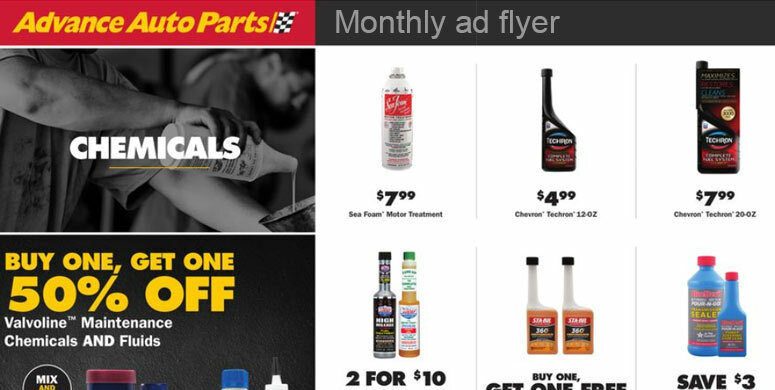 Monthly Flyer / In-Store Ad: Advance Auto Parts – is a convenient way to view all of their in-store deals in one place online. 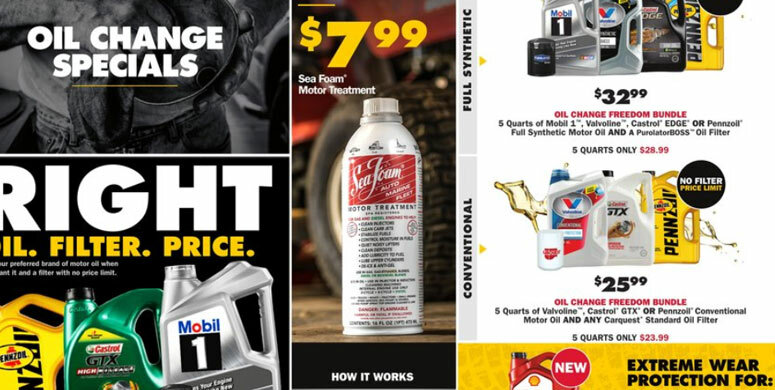 Each month they feature about 10 pages or so of unbeatable low prices on automotive parts, oil change specials, coupons, rebates, and promotions. These deals vary slightly by store, so enter your zip code at advanceautoparts.com to view your store. 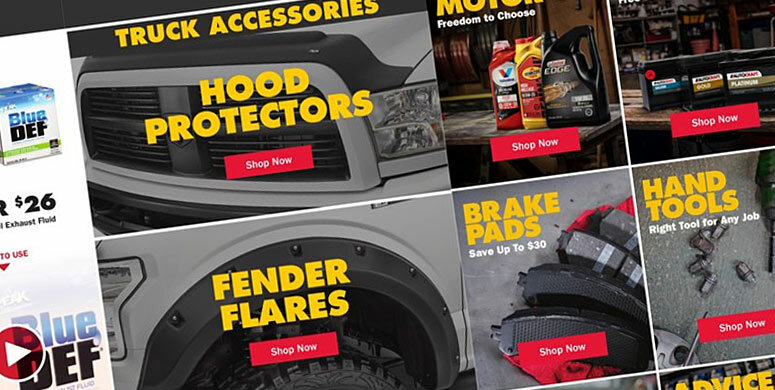 Advance Auto stocks thousands of discount automotive parts, so the monthly flyer is an exciting way to get even lower prices on their featured products. 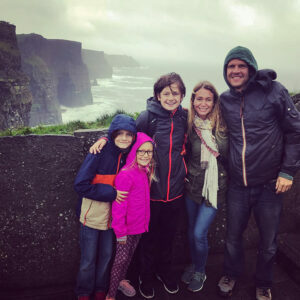 Set up as a PDF file, it’s basically like being able to virtually flip through an in-store circular and view all sale items in one place online. As an extra incentive, each month they also tend to include an exclusive coupon for their website that you can only find in the flyer. Because the deals offered in each flyer can vary based on store locations, the first thing you’ll be prompted to do is enter your zip code. (see below) After doing so, you’ll be able to virtually flip through the flyer online, with no messy ink from cheap newsprint on your fingers! Keep in mind that with each page you’ll be able to zoom in, move the pages around (by clicking and dragging) and apply discount filters by moving the slider. This is a neat feature if you are looking to view all of their best deals in one place, organized by the percentage of discount. If you decide on a promotion, there is a feature to quickly print the page that you’re viewing, or download the whole flyer as a PDF. This can be a valuable feature, as you can bring the promotion with you to your local store without depending on an internet connection. It’s not necessary to do so, but it’s convenient to have a hard copy of the deal, along with any terms or conditions that apply. If you do so, you won’t have to flip through a weekly flyer at the store when you arrive. Also, with a digital or hard copy you won’t be blind-sided at the register, realizing that a minimum purchase was required, or that you bought the wrong size of an item. You can also view the flyer on your smartphone if you’d rather conserve printer ink. Viewing the circular online lets you see what all of the in-store deals are for this month without showing up to a store unprepared. 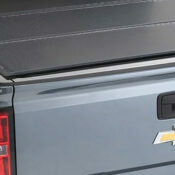 That allows you to do a little research on items like batteries and brakes before showing up in the store. 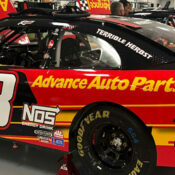 The promotions vary slightly bases on location, but after you enter your zip code the in-store flyer for your local Advance Auto Parts location will load instantly. Remember that when you order online, you can choose to pick it up at your closest Advance Auto Parts location. While you’re there, consider taking advantage of their free services, like a free battery test. 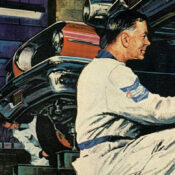 If you have an order over $25, and don’t need your parts today, definitely consider ordering online for the best price. Pretty sweet!